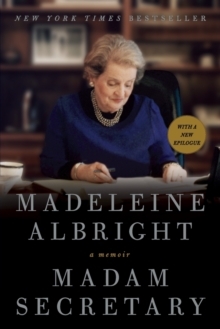 Drawing on her own memory, her parents' written reflections, interviews with contemporaries, and newly-available documents, former US Secretary of State and New York Times bestselling author Madeleine Albright recounts a tale that is by turns harrowing and inspiring. Before she turned twelve, Madeleine Albright's life was shaken by some of the most cataclysmic events of the 20th century: the Nazi invasion of her native Prague, the Battle of Britain, the attempted genocide of European Jewry, the allied victory in World War II, the rise of communism, and the onset of the Cold War. 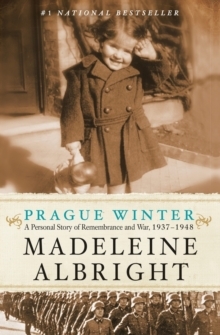 In Prague Winter, Albright reflects on her discovery of her family's Jewish heritage many decades after the war, on her Czech homeland's tangled history, and on the stark moral choices faced by her parents and their generation. Often relying on eyewitness descriptions, she tells the story of how millions of ordinary citizens were ripped from familiar surroundings and forced into new roles as exile leaders and freedom fighters, resistance organizers and collaborators, victims and killers. These events of enormous complexity are shaped by concepts familiar to any growing child: fear, trust, adaptation, the search for identity, the pressure to conform, the quest for independence, and the difference between right and wrong. Prague Winter is an exploration of the past with timeless dilemmas in mind, a journey with universal lessons that is simultaneously a deeply personal memoir and an incisive work of history. 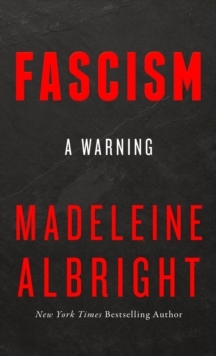 It serves as a guide to the future through the lessons of the past, as seen through the eyes of one of the international community's most respected and fascinating figures. 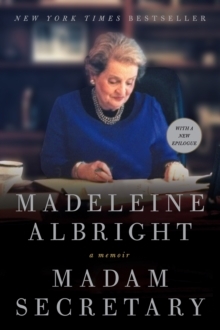 Albright and her family's experiences provide an intensely human lens through which to view the most political and tumultuous years in modern history.